Circus and Clown costumes from Sydney, Australia! 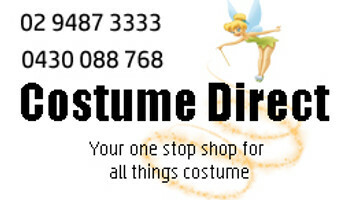 This online costume shop has fast shipping so you have your costume in time for your event! Round up, round up. for the biggest, most spectacular performance of your lives! Do you want a trapeze artist costume or circus acts costumes? From Ringmaster costumes to clown costumes, elephant and lion costumes to Showgirl dresses, clown wigs to even the Ringmaster's moustache, we have you covered to pull off the most enchanting of shows! For a circus experience like no other, in which you are one of the leading acts, look no further than our huge range of Circus costumes and accessories!